A breakdown of the Passover story by verse, found in the book of Shemot (Exodus). Students will study one or more texts from the Passover story. Students will create an illustration or other creative representation of the text. 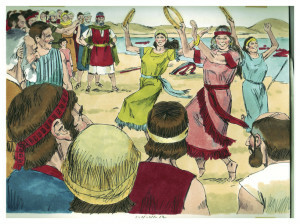 When the illustrations or other representations are combined, the class will have a complete presentation of the Passover story.